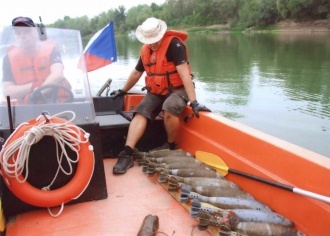 The objective of this training is to secure these underwater explosives or hazardous devices, remotely raise them to the surface, and then render safe or dispose of them on shore. This class also provides training in how to properly conduct a thorough and detailed underwater post blast or arson investigation. This class does not intend to duplicate the training or replace the outstanding work performed by military EOD Personnel. In most civilian criminal cases, due to constitutional restrictions, military personnel are unable to give hands-on assistance. Law enforcement personnel or fire fighters, who are EOD trained and certified SCUBA divers are then called upon to recover explosives or devices underwater, require specialized and proper training and equipment to carry out this dangerous task in as safe a manner as possible. Student Prerequisites – Students should be at a minimum a SDI Advanced and Rescue Diver or equivalent. In addition, the student must be a graduate of HDS or EOD School, and a member of their departments Explosive Disposal Unit.